My daughter has been playing soccer for a few seasons and she really likes the sport. She has a strong kick, enjoys competition, and has made new friends in her teammates. But sometimes practicing can get a little boring for her, so my husband is always trying to teach her new drills keeping her on her toes and challenging her natural athletic ability. Enter The SOCKIT, a new product I got the opportunity to try out recently. 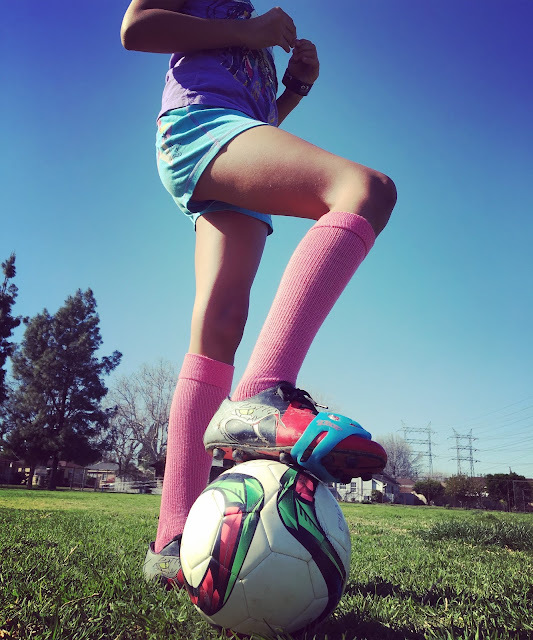 This soccer kick trainer is especially made for children ages 5-12. 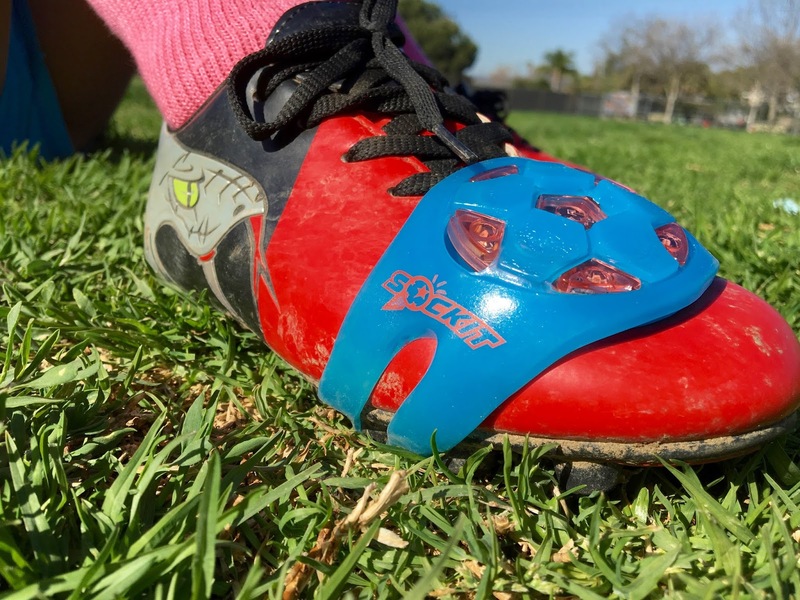 It's an interactive band that your child wears around the outside of their cleat. How it works is it instantly lights up to signal when a player kicks the ball correctly, helping to teach proper foot-to-ball technique. As parents we want to provide our children with all the tools they need to help them succeed. The same goes for when they are playing sports. The better they do in sports, the more confident they become. The more confident they are, the more fun they have. The more fun they have, the more likely they'll want to keep playing the sport. The more they continue playing the sport, they more active they are and the more exercise they get. Which is good for their body, mind and overall well being. The SOCKIT builds confidence, encourages players to practice more, improves foot-eye coordination, and reminds us all of why we play sports in the first place... because it's fun! I liked learning the story behind why The SOCKIT was created by a soccer parent who saw a need, "Like most parents of a soccer player, Joe Briganti wanted to find a simple and effective way to help his two young daughters become more skilled at soccer. After searching sporting goods stores, online retailers, and trying countless training aids, nothing lived up to their expectations of fun with real results. And so with that, The SOCKIT was born." My daughter had fun practicing with The SOCKIT trainer. My husband, who is also her Coach thinks it is something he will use in the future as another tool to help his players with ball control. 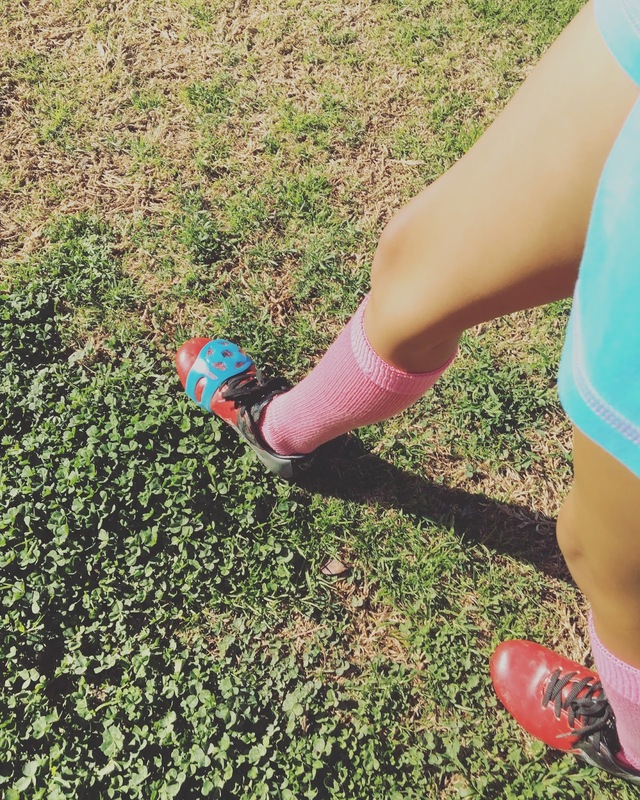 Sometimes practicing a sport can feel like a chore to the kids, but The SOCKIT makes it a fun game. I can see the whole team wanting to use it. Let them pick out their favorite color, or maybe the color of the team jerseys. These would be great gifts for the players of any youth soccer league. As you can see, my daughter chose 'Attacker Blue.' We will definitely be keeping it handy in her soccer bag! Fresh Tip: It would be most helpful to use The SOCKIT in the evening or at night once the sun has gone down as it's hard to see it light up in the daytime. I have a 'Smashing Yellow' SOCKIT to give away to one of my readers. All you have to do is comment below with your name and email address. I will pick a winner at random on Saturday March 5, 2016. Good Luck! But there's more... Everyone's a winner because I have an exclusive discount code just for my readers! This code is good for 25% off your first purchase (online only) on the sock it website. Please use this code at checkout freshangeles25 to receive the discount towards your soccer kick trainer. Full Disclosure: The opinions in this article are 100% fresh and 100% mine. I do not work for, or with, any brand mentioned in this article, nor do I have any official relationship with them. I have a relationship with Gigasavvy, for whom I create original editorial content.